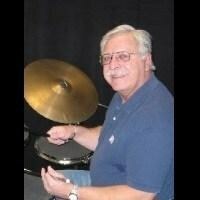 Aaron has been playing drums in various bands and musical organizations for more than 40 years. He started playing in local bands around the Lehigh Valley, PA area at the age of 14. By age 16 he was teaching at Nazareth Music Center, Nazareth, PA and had become Head Drum Instructor for the Chessman Drum and Bugle Corp out of Easton, PA. In addition to instruction, Aaron also wrote the entire percussion score for the Chessman and, at the time, was the youngest drum instructor of a major drum corps circuit anywhere in the US. In 1966 Aaron entered Mansfield State College (now Mansfield University) as a percussion major. He performed and toured with the college wind ensemble, percussion ensemble, symphony orchestra and the Esquires, the college big band jazz ensemble. While in college he played with several local bands that played throughout northern tier PA and southern tier NY. Aaron received a B.A. in 1970 and an M. ED. in 1973. Many of his former students are still performing and teaching in the Lehigh Valley/Philadelphia area. Since moving to Northern Virginia in 1974, he has played in numerous local bands. Aaron has studied with numerous teachers with a variety of drumming styles. Most notable among them are Orres Gibbs - chief percussionist with the Allentown Band, and Joe Morello - jazz great with the Dave Brubeck Quartet.